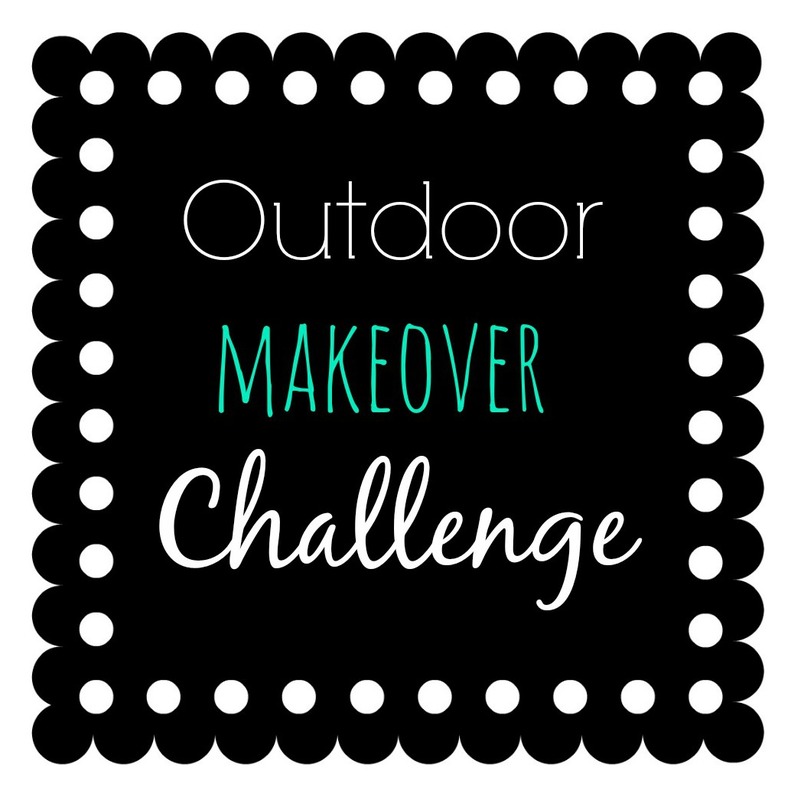 Welcome back to week two of the Outdoor Makeover Challenge! If you missed last week's post, I am participating in a budget friendly makeover challenge along with my fabulous blogging friend Kristi at making it in the mountains. 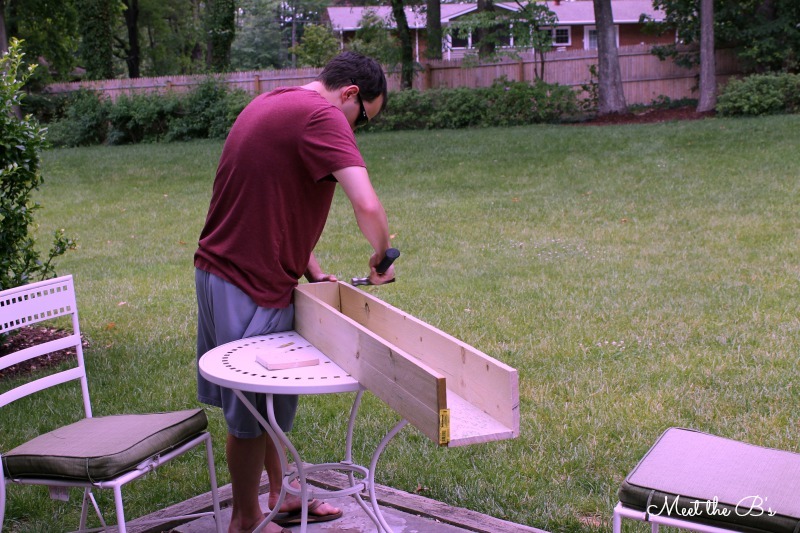 Follow along as both of us work on projects to make our outdoor space better! Unfortunately, Nicci at Living the Domesticated Life will no longer be joining us in the challenge as she is taking a little blogging hiatus. We wish her all the best and will miss her!! I apologize for the lack of posts this week. I've been working night shift, and as I've told you in previous posts, I'm pretty useless when I work night shift! Exhausted! Well, I've recovered a little bit from this week's night shifts and have seven days off before more night shift, so hopefully I'll have a little more to share with you next week! For today, I'm ready to give you a little sneak peek at what we've been working on! In my last post, I described that one of our needs is a patio dining table. We LOVE to eat dinner outside and we also love to entertain, so a table that could hold more than two people was a must! We currently have a little dinette set that's more like a sweetheart table... we need more space! So we looked at three different local big box stores and settled on the Falster set from Ikea. It's grey (of course! ), seats six at the minimum (we could probably squeeze more on that bench! ), and was at a price we couldn't beat! Our main concern with buying outdoor furniture from Ikea was whether or not it would hold up over time, but the description promised us that it's weather friendly and maintenance free. Besides, at only $470 for the whole set (we bought the table, two chairs, a bench, and two arm chairs), even if it doesn't hold up well, we wouldn't feel that bad about replacing it. AND for Ikea furniture, it was SUPER easy to put together! I was impressed! Now we just need to decide how to position it! We're going to play with a couple of layouts, but the main thing is to decide if we want it right outside of the sliding glass door or on the other side closer to the garden. Thoughts?? It's been raining so I haven't been able to get great pictures, but it stopped long enough for me to get these quickly!!! See that little bird house in the background? I built it when I was maybe six years old with my dad and my grandfather. My parents gave it a fresh paint job and gifted it to me a couple years ago!!! I was so excited! I had no idea they even still had it! That's not the best picture in the world of the table or the space but please note the cat in the door longing to come outside. He's an indoor cat who wouldn't last two seconds outside, but he tries his hardest to get out every chance he gets! The other thing we've been working on is a window box for under the kitchen window!! I've been looking at window box tutorials on Pinterest for months and decided to take some advice from Laughing Abi and use fence pickets because they're so affordable! 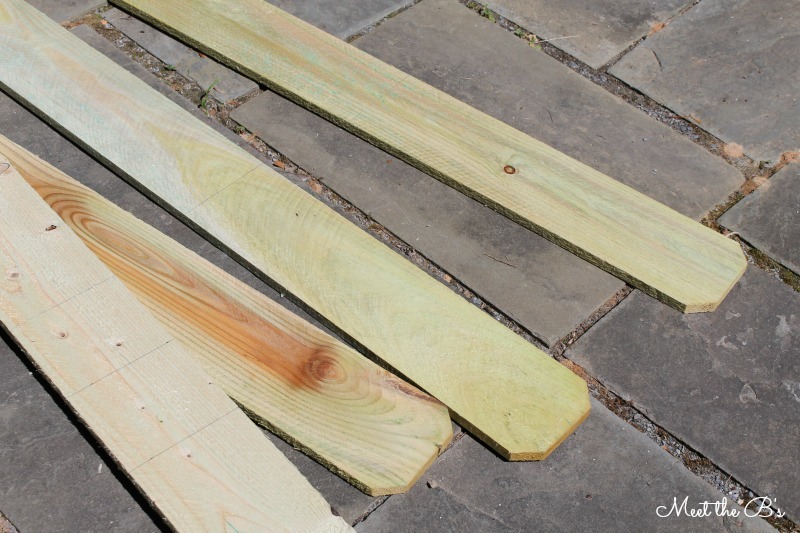 We purchased three 5/8" x 5.5" x 6' cedar pickets from Home Depot. They were only $1.64 a piece! Awesome! 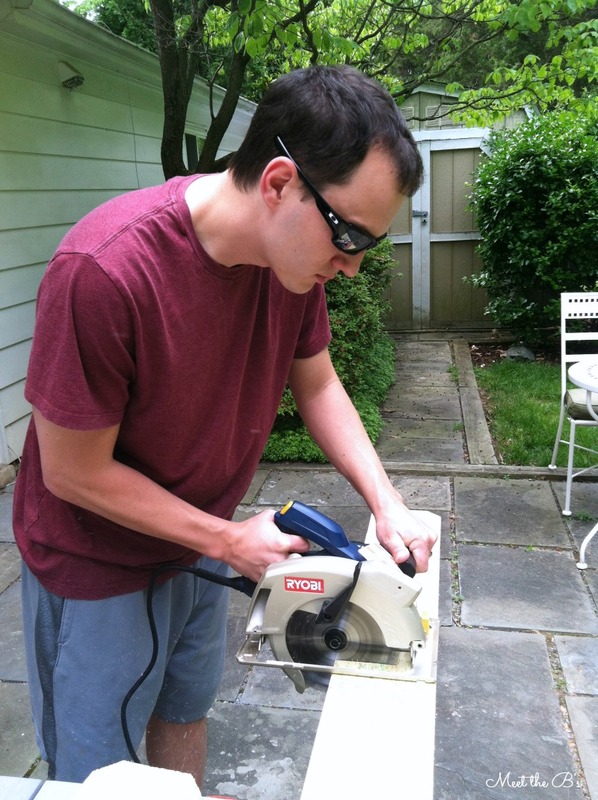 Pete used his circular saw to cut them to size. We cut three 39" pieces to match the length of the window and two 4.25" for the end pieces to make the total width approximately 5.5 inches (the same width as the pickets). Then we nailed our window box together! We nailed the three longer pieces first, and then shimmied the end pieces in and nailed them. 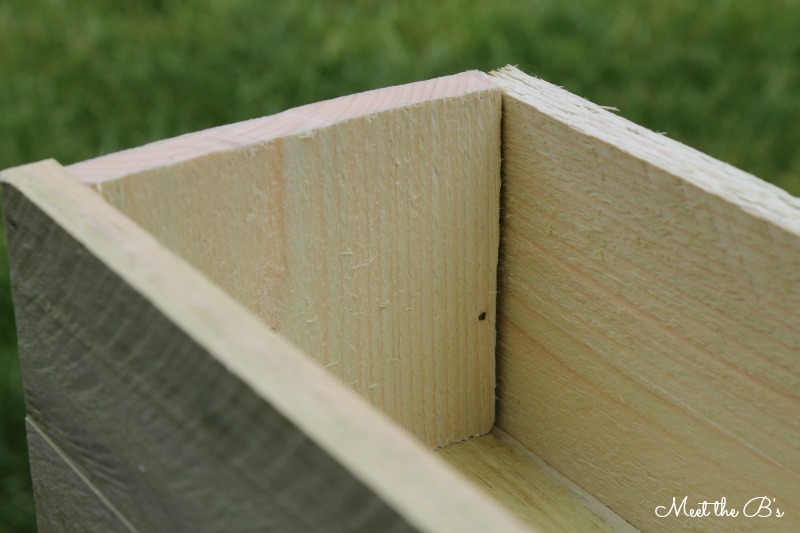 I will say, your window box will NOT be perfect if you use these cedar pickets because the wood is a bit warped. We figured the misaligned edges won't be too noticeable from afar once there are plants in it. This wood is also pretty rough from being pressure treated, so after nailing the box together I used a very fine grit sandpaper to smooth the outside of the box. Pete drilled some holes in the bottom for drainage. We figured every six inches should be good. I'm also going to put some black weed block in the bottom before adding plants. This should allow water to drain through the holes without the soil falling through them. Finally, we will paint and then seal the whole thing with an outdoor sealant spray. 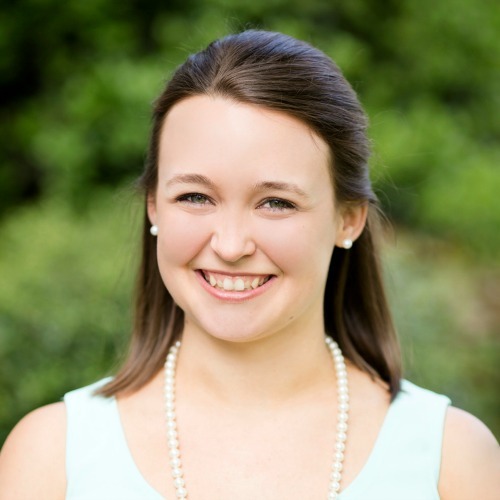 Don't forget to check out what Kristi has been working on this week too!! 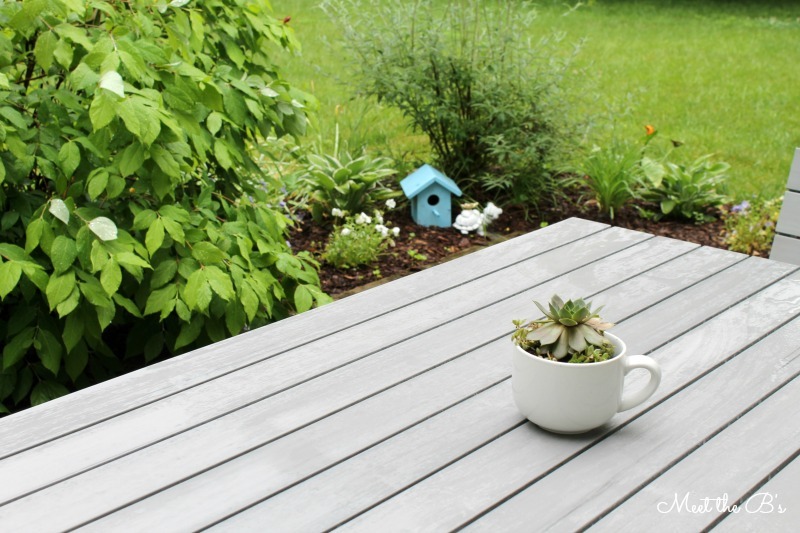 She's got a great DIY outdoor table that you absolutely can't miss! Love that table! 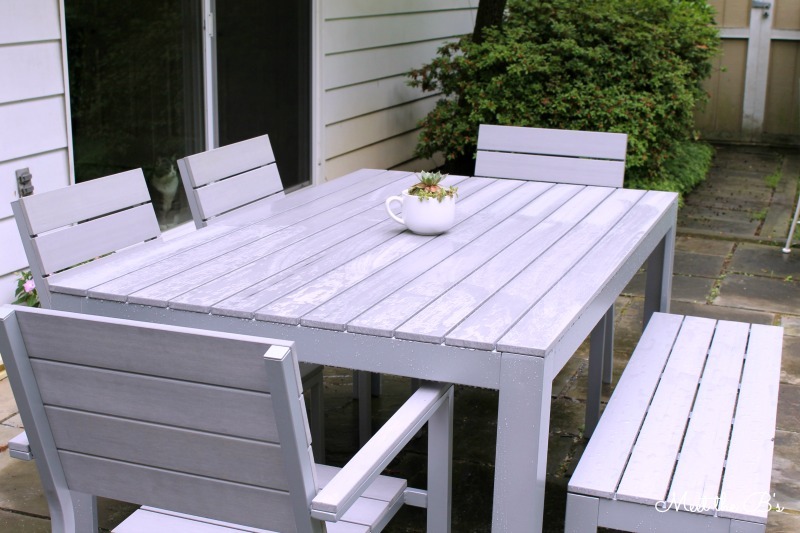 I like that it's grey too instead of the typical wood tables you see outdoors. 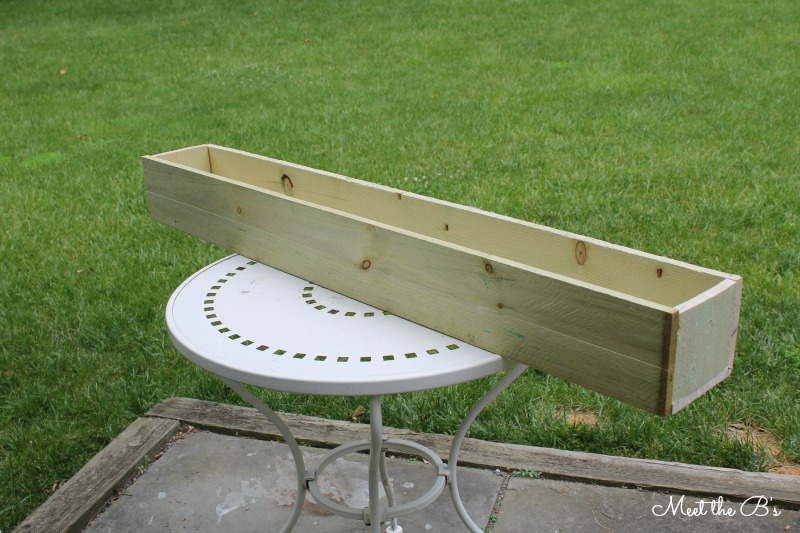 Can't wait to see your window box all completed! Thanks Bre!!! 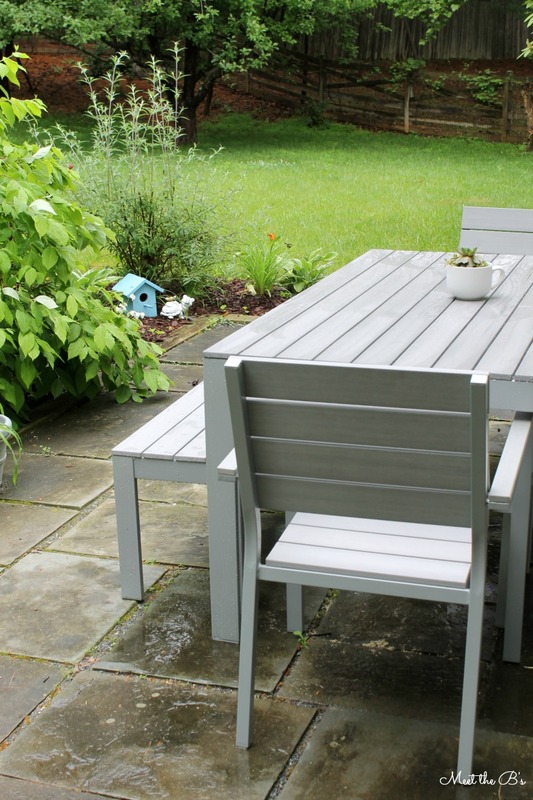 We hadn't even thought of a grey table until we saw this one! Hope to have the window box done next week!! aluminum furniture may equally compete with international brands . It is reported that the company's design Mountain Picnic Table in March 2015 received "As the design Oscar Award " of the German Red Dot award. Check out Gardenart's collection through here.Congratulations to oneallinternational, the gardenart outdoor furniture is amazingly good! Hi Nicole, I came across this site and figured I would ask a quick question about the Ikea Falster table. Since you got it a few years ago, how has it held up? Does it stain really bad? I'm thinking of getting the set and was just curious. Thanks. Hi Spencer. We still have this table set and it has held up great! The only issue we've had with staining was when someone leaned on it with bug spray on their arm. Otherwise it cleans up well. I usually wipe the tabletop down with a soapy sponge in the spring to remove dirt and pollen, and then it looks like new again. Hope this helps!